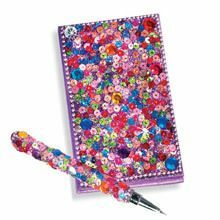 This Fuchsia Snazzy Sequined Notebook & Pen Set is dazzling, and useful, too! 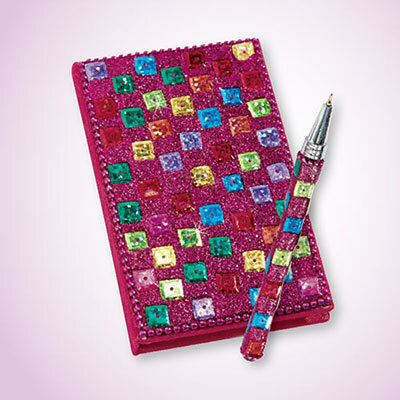 Satin covered purple notebook glistens in sequins, faux gems and glitter. Imported. 4"l, 2½"w. Matching pen with black ink; 5"l.